Shalom! 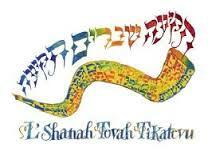 Rosh Hashanah and Yom Kippur are fast approaching. Rabbi Joshua Waxman will be leading our High Holy day services this year. Our extraordinary teachers and parents are planning our children and teen programming. The teen and family services that have been so well received in the past, will of course continue this year. We are very excited to continue this enhancement to our high holiday observance. Other "extras" will include the adult study havurah's engaging discussion series the mornings of Rosh Hashanah (first day only) and Yom Kippur, tashlich following Rosh Hashanah second day services, meditation and a Healing service as part of Yom Kippur afternoon, and of course, spiritually fulfilling services in the main sanctuary. For those who enjoyed it last year, we will again have a quiet space , please read about it by clicking on the attachment below. Members have been sent a packet containing all of the schedules, events, and activities, and the forms to purchase guest tickets. Please note that there are restrictions for parking at our beautiful home in Fort Washington. You must read the attachment below with all of our parking information. Make our house your home for Rosh Hashanah and Yom Kippur. We cordially invite the community to join us for High Holiday services. The suggested donation for each High Holiday ticket (includes all Rosh Hashanah and Yom Kippur services) is $250 for age 13 and over. You may also request one day tickets for Rosh Hashanah or Yom Kippur only for a suggested donation of $136 per ticket for age 13 and over. Note that activities are offered for children less than 13 years old at a suggested flat rate of $50.00 per child. Teens above Bar/Bat Mitzvah age are considered adults. Note that ticket donation amounts may be applied toward your dues if you join Or Hadash this year. Your tickets and parking info will be emailed to you. Please note: You cannot purchase tickets online after Sunday, September 2nd. You also cannot print and mail the ticket order form attached below after Sunday morning either. Please call our office to purchase tickets after that date but no later than Friday morning, September 7th. Note: if you did not complete payment for tickets you added to your shopping cart, clicking "View Cart" will take you to checkout. For more information: call 215-283-0276 or email office@orhadash.com.